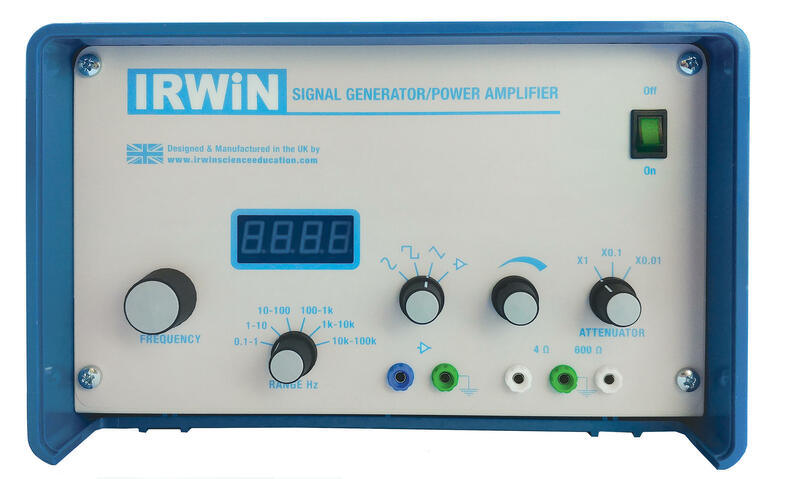 The new Irwin EA0030 Power Signal Generator comes with an output frequency from 0.1Hz to 100 KHz available through 6 switched ranges. Switchable outputs of Sine, Square, Triangle and Pulse. 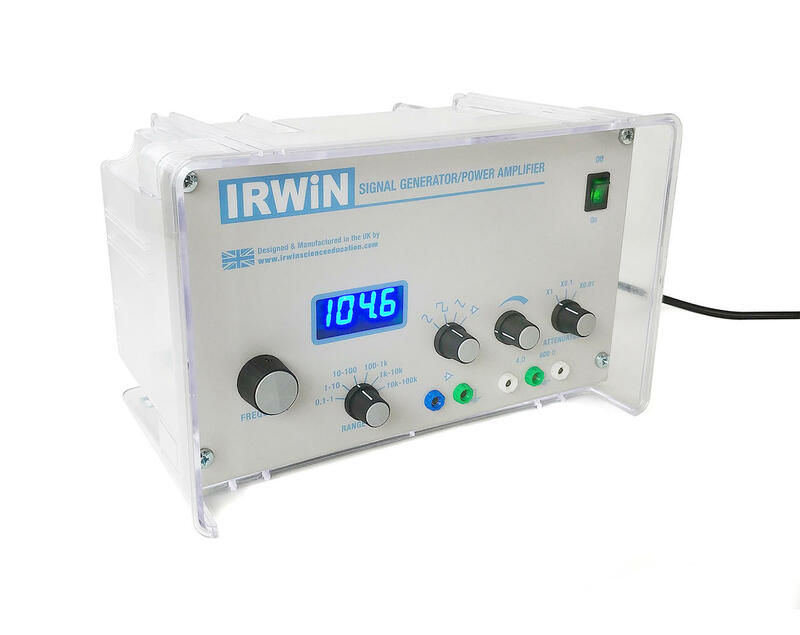 The output frequency ranges from 0.1Hz to 100kHz and is adjusted using both the six-position ‘Range Hz’ switch and the multi-turn rotary ‘Frequency’ control. 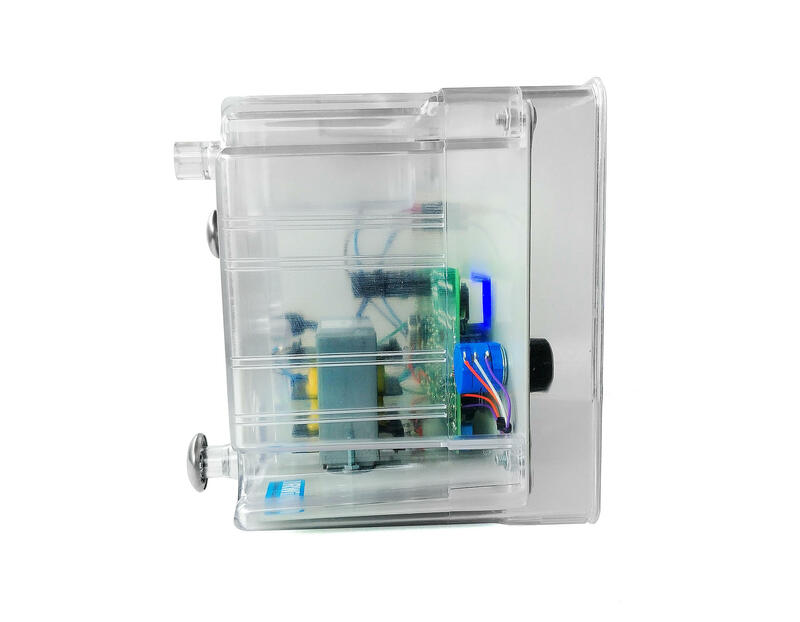 The actual output frequency is continuously monitored and shown on the blue LED Display. peak to peak using the rotary ‘Gain’ control. It can also be used as a stand-alone Amplifier with a Voltage Gain (Av) ranging from zero to 100 (+40dB) via the rotary ‘Gain’ control and a frequency response of 1Hz to 100kHz (-3dB bandwidth). Note: the Amplifier has an input impedance of 1MW and a maximum input voltage of 200mV peak to peak (irrespective of the Gain setting).